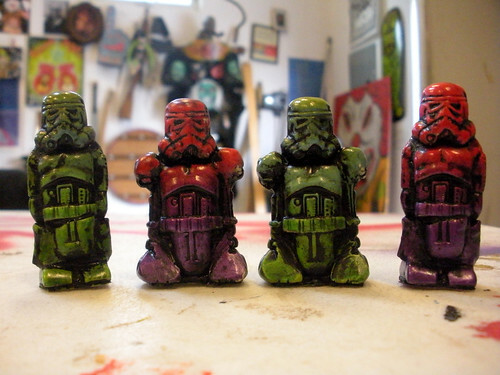 new troopers, a set on Flickr. Whats up folks! I thought I would share some of my new troopers I made. ENJOY! Storm2d2 - Resin Figure, a photo by the art of Skinner on Flickr. Durring Wondercon I saw Skinner and gave him a few of the troopers to paint. He finished them and sent me some pix. They look great!